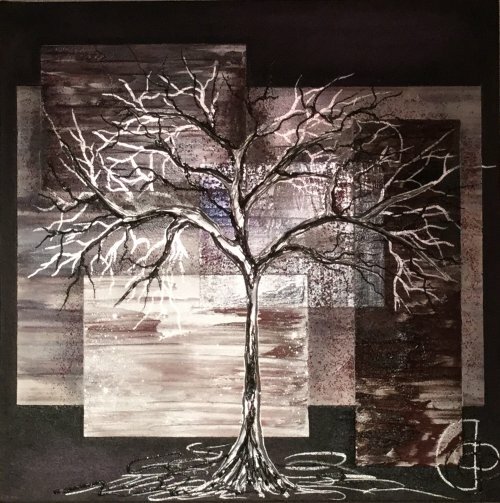 Lovely original painting on a deep frame canvas depicting a three dimensional tree in a mixture of silver anjd sparkling black finishes. The overall colours are silver, aubergine, greys and various neutral shades, making it perfect for modern interior schemes. The compact size will definately enable you to find a place in your home for this attractive painting.